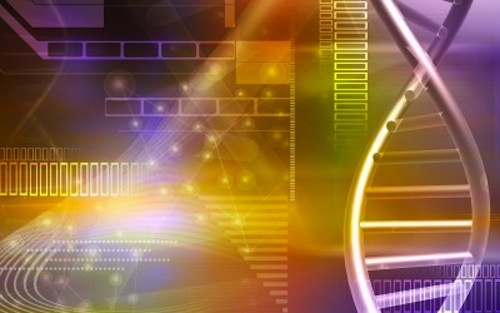 Scientists have known for decades that all people carry some damaging genetic variants. However, this is the first time that scientists have been able to quantify just how many of those variants each of us has. Researchers scanned the genomes of 179 healthy men and women in the 1000 Genomes Pilot Project from the United States, China, Japan and Nigeria. They compared them with information from the Human Gene Mutation Database (HGMD), a detailed catalog of 50,000 human disease-causing mutations that have been reported in the scientific literature. Recessive genetic variant: a mutation in which the gene on both chromosomes must be mutant in order for the mutant phenotype (i.e. the function and physical appearance of a person) to be observed. A recessive mutation inactivates the gene and lead to a loss of function of that gene. Dominant genetic variant: a mutation in which the gene needs only to be mutant on one chromosome for the mutant phenotype (i.e. the function and physical appearance of a person) to be observed. A dominant mutations often leads to a gain of function of that gene. The investigators found that most disease causing mutations were single, ‘recessive’ genetic variants that are unlikely to cause problems to the individual. In one in ten people, however, scientists could identify a potential clinical effect of the genetic variants. In these people, both chromosomes carried a copy of the recessive genetic variant, or alternatively, one chromosome carried a dominant genetic variant. Researchers expect these people to develop a genetic disease as a consequence of carrying these DNA mutations. In the majority of people we found to have a potential disease-causing mutation, the genetic condition is actually quite mild, or would only become apparent in the later decades of life. We now know that normal healthy people can possess many damaged or even completely inactivated proteins without any noticeable impact on their health. It is extremely difficult to predict the clinical consequences of a given genetic variant, but databases such as HGMD promise to come into their own as we enter the new era of personalized medicine. Each human genome has approximately 3 million mutations, so the 400 protein-damaging DNA mutations reflect a very small proportion of that total (0.013%). As personalized medicine and genome sequencing becomes more prevalent, the important concept for patients to take away from this study is that simply having a mutation in a disease-causing gene does not mean that you have the disease or that you will get the disease. Xue et al. Deleterious- and Disease-Allele Prevalence in Healthy Individuals: Insights from Current Predictions, Mutation Databases, and Population-Scale Resequencing. Am J Hum Genet. 2012 Dec 7;91(6):1022-1032. Researchers produce a catalogue of the deleterious and disease-causing genetic variants in healthy people. Wellcome Trust Sanger Institute. 2012 Dec 6.